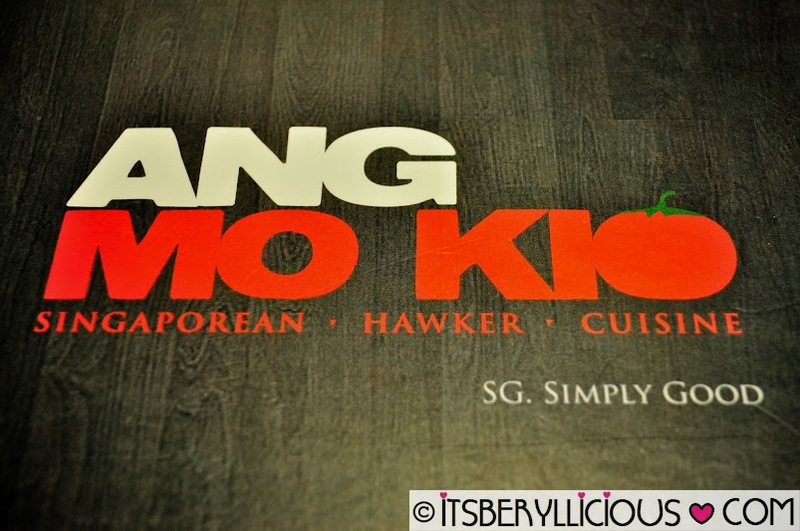 Ang Mo Kio is a district in Singapore known for its gastronomic finds like hawker food stalls and other gustatory treats. 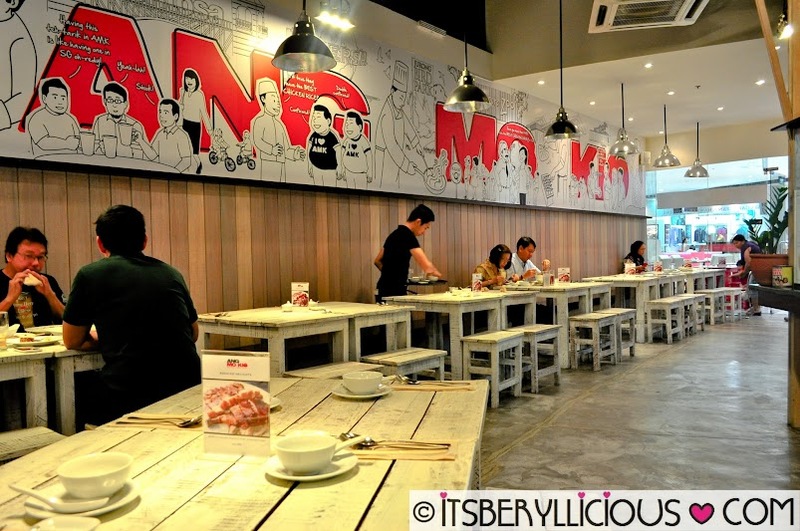 Every time I think of hawker food, the first thing that comes into my mind is Singapore. I just love the diversity of Singaporean cuisine that plays around with other Asian fares. It gives me the feeling of an Asian food adventure around Malaysia, Indonesia, India, Thailand, Philippines and China in just one destination- Singapore. But did you know that we also have an Ang Mo Kio in the Philippines? Located at the 3rd floor of Podium Mall in Ortigas, this Singaporean Hawker Cuisine promises a "True Authentic Singaporean Cuisine" like no other. 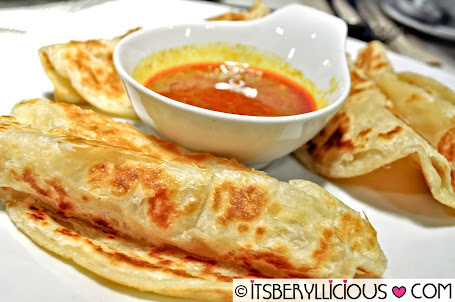 A great starter would be this light, fluffy and flaky flat bread served with curry sauce as a perfect complement. 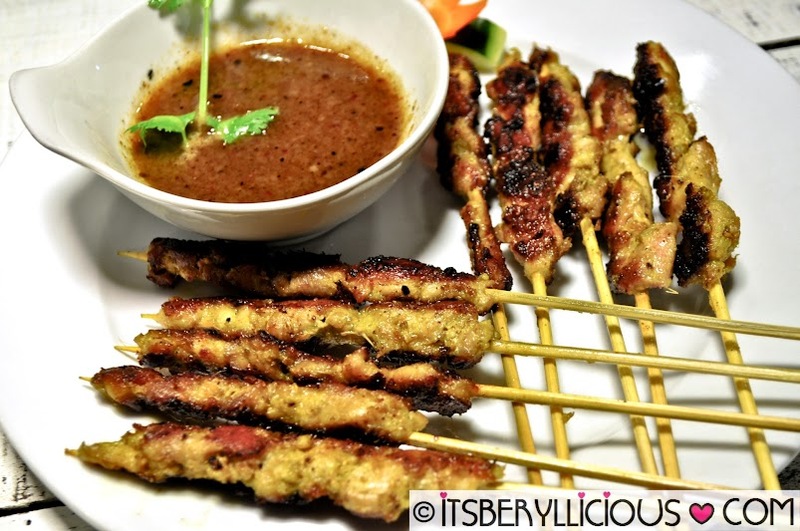 While munching on the roti bread, follow it up with some satay marinated chicken skewers served with a sweet peanut dipping sauce. Although I found the skewers a bit small in size, the peanut sauce was just divine. Well, I think the chicken satay was just right in size as a palate teaser, wouldn't want to fill myself up before trying out more of the main courses. The dish that I've been looking forward to trying is their Cereal Prawns. 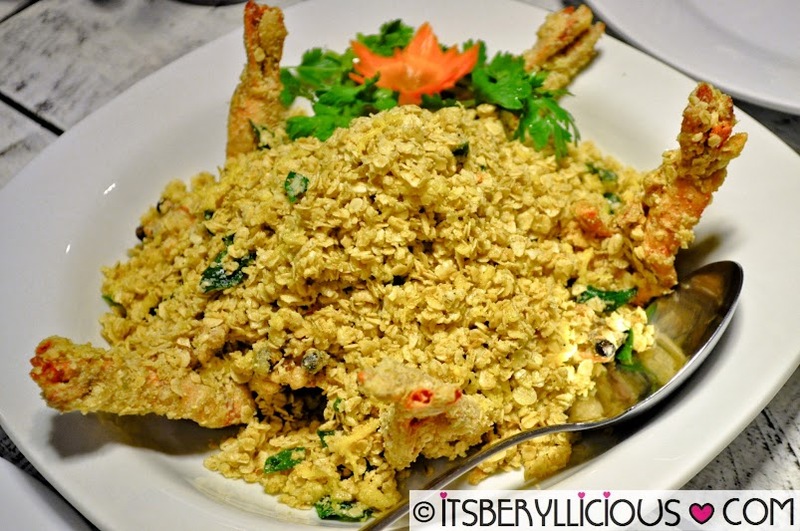 An oat-sea of prawns stir fried in butter and spices for a nice blend of flavors and crisp texture. I recommend eating this immediately as the oats were no longer on its maximum crunchiness level when I tried it. 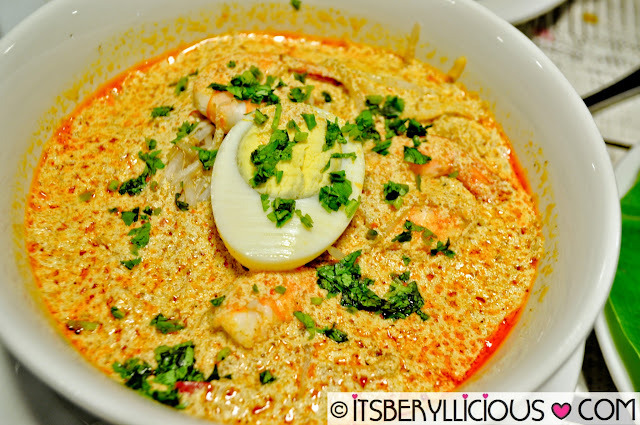 Don't leave Singapore without trying out their famous Singaporean Laksa. Ang Mo Kio's version is a rich and creamy bowl of this coconut milk-based spicy noodle soup with seafood ingredients, herb and spices topped with hard boiled egg. It was served piping hot on the table that one should immediately consume it so as not to make the noodles absorb the soup quickly. This bowl was very filling since the soup was really thick, creamy and spicy. Nevertheless, I enjoyed my bowl of this authentic Singaporean dish. 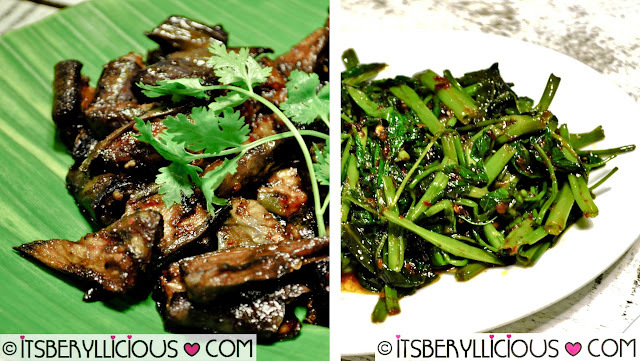 These are fresh vegetables sauteed in spicy shrimp paste called sambal. It's very similar to our bagoong that a has rich salty-sweet taste but this one was much spicier. 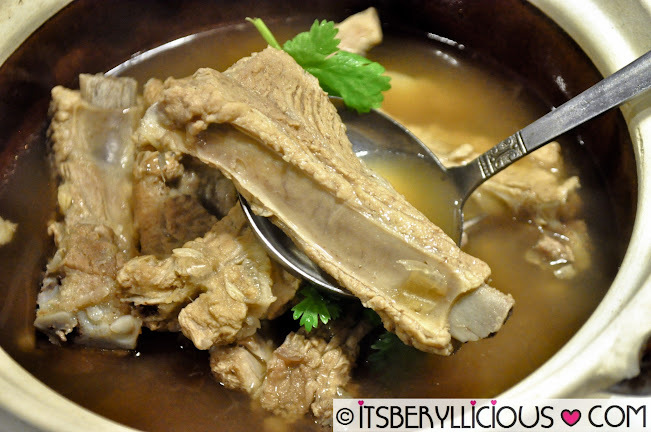 Ang Mo Kio's version of the traditional Chinese pork bone soup is a mixture of fragrant spices and herbs, garlic, cloves, cinnamon, star anise, fennel seeds and coriander. This one is quite different from the typical Bak Ku Teh I've tried before as the soup brings out a distinct taste of tea. 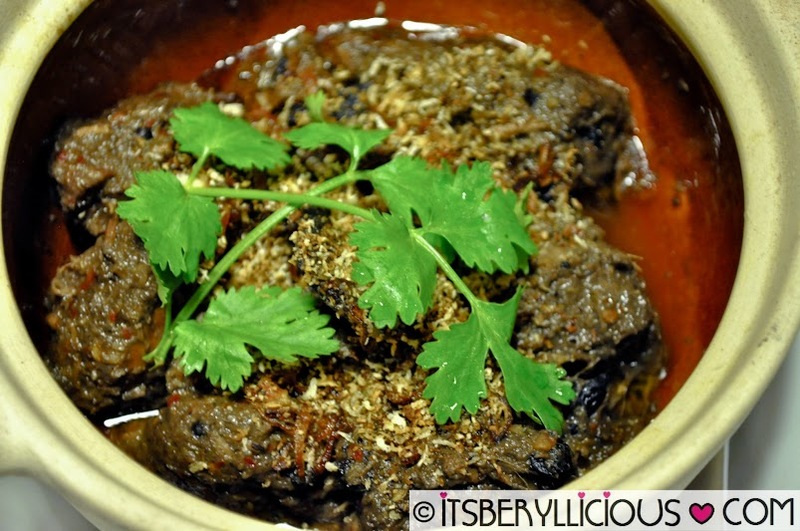 The Beef Rendang was a pot of tender beef chunks cooked in coconut milk with ground spices paste of ginger, turmeric, galangal, lemon grass, garlic, shallot, chilies and other spices. The dish was a bit spicy with beef so soft and tender. 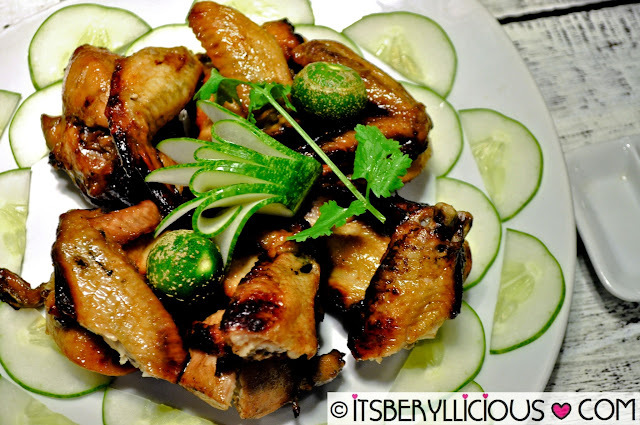 No, what's a Singaporean restaurant without the famous Hainanese Chicken. The moment it was served on the table, we were all surprised with its size. The whole white chicken was really huge bathing in a light sauce and garnished with coriander and carrots. 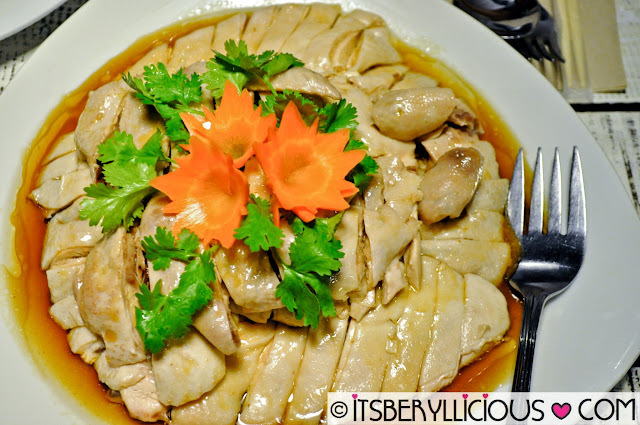 I love how it was very meaty, tender, succulent and juicy- just exactly how authentic Hainanese Chicken should be. 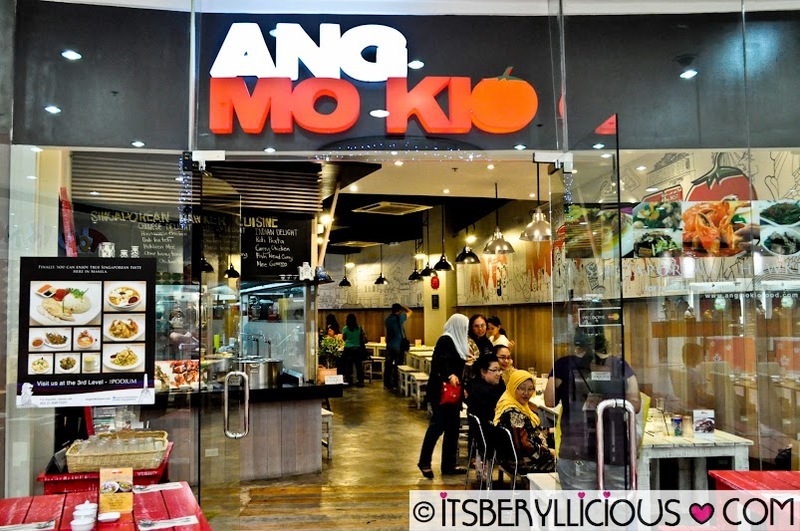 Ang Mo Kio also offers juicy barbecue chicken wings that's so tender and flavorful inside and out. It kinda reminds me of our favorite S&R roasted chicken only this one comes in wing parts. Moving on with the noodles, I got to try the Hokkien Prawn Mee which is made from yellow wheat noodles and vermicelli mixed with some bean sprouts, prawns, squid, egg and pork belly slices. The noodles were soft and saucy, I loved it up to the last bite. 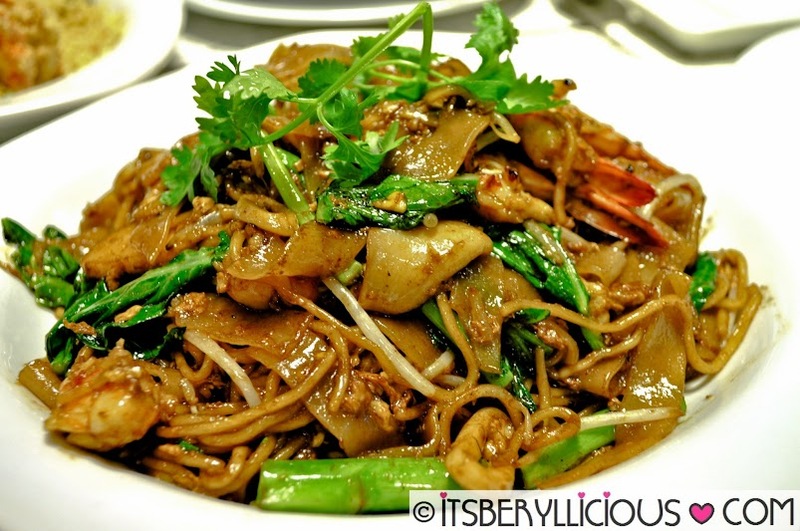 Another popular noodle dish in Singapore is the Char Kway Teow which is this serving of flat rice noodles, stir-fried over very high heat with light and dark soy sauce, chili, shrimp paste, squid, shrimp, bean sprouts and some greens. 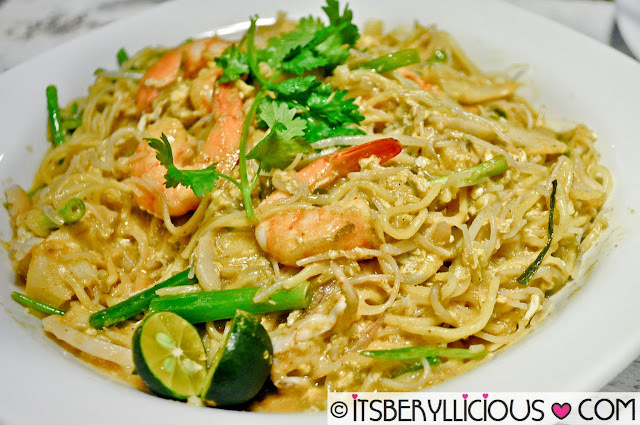 I love the mix of the thin noodles and flat rice noodles that gives a soft and chewy texture in every bite. Ang Mo Kio offers a variety of interesting drinks that would certainly tickle your fancy. 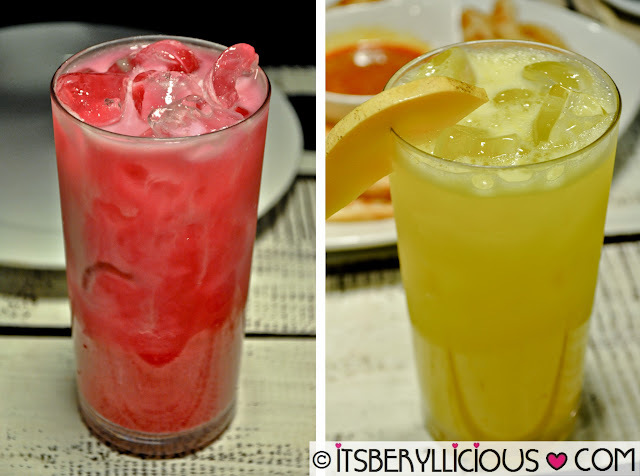 Like this vibrant colored Rose Milk Tea and Fresh Mango Juice. Of course, I wouldn't miss ordering the famous milk tea beverage in Singapore- Teh Tarik. It was light, creamy and refreshing without being overbearingly sweet. 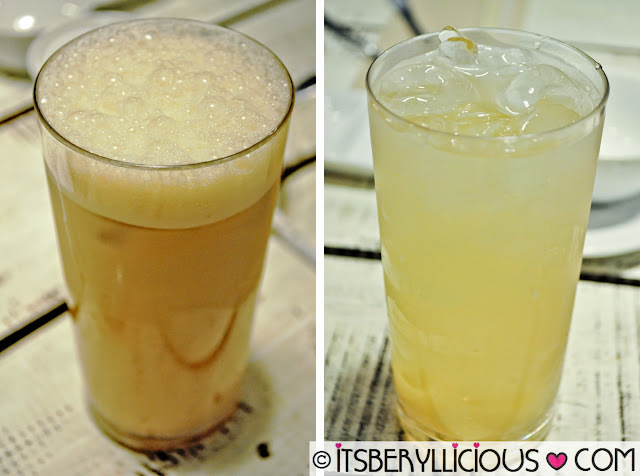 The Lychee Drink on the other hand was equally refreshing however I found the lychee flavor too mellow for my taste. For the record, this is my first comment in your post. It's more of a welcoming for myself to immerse into reading food blog..hehehe..I got few friends who blogged about food. And I for one is doing some food blog entries..planning to create my own food blog since I somehow know how to cook. I will be frequenting your blog from now on. :) Sorry the comment isn't about the food though I read the post ha. the flatbread, eggplant and sauteed greens, and drinks look good. the dishes look good, as long as they can be ordered without meat or eggs in a veggie style dishes.